It's that time of the year again when insane writers attempt to write 50,000 words in 30 days. It's National Novel Writing Month time. This may seem like an insurmountable task, and as the month passes by, participants may start to feel overwhelmed. But have no fear! 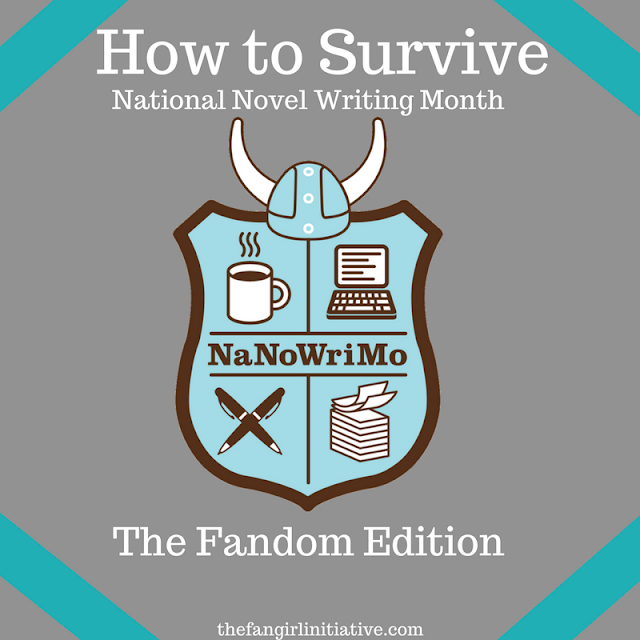 The best and brightest minds from the world's most famous fandoms are here to give you advice on how to survive NaNoWriMo. So whether you're a participant or you know someone who is attempting this grand feat, here's a little advice, fandom style. Remember to wield your pen like Wonder Woman wields a sword, and you'll be sure to slay that word count goal. If you're a write-with-music kind of person, you have to make sure you find the right jams. Nothing makes monster hunting writing hard when the music is distracting; just ask Dean Winchester. Or if you need a little help, call on your friends, Avengers style. Or share a pint with friends. If you get stuck, make sure you have a back up plan, like Merlin. Or take a page out of Rick Grimes' book and write about stuff and thangs. If you make a mistake, do as Picard would and then move on.